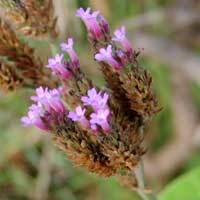 An adult stink bug on flower spikes of Purple Top Verbena in Nairobi, Kenya. March 2013. 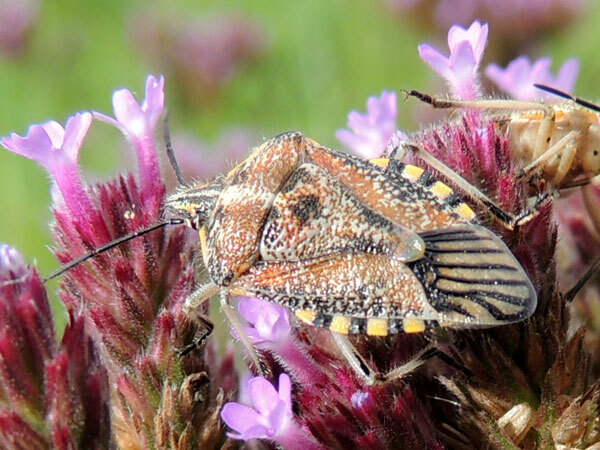 Apparently the same stink bug species on roadside weeds in South Nandi Forest, Kenya. April 2013. Many stink bug species are roughly the shape of a pentagonal shield in outline. This one is a bit elongated from the more common, compact shape. 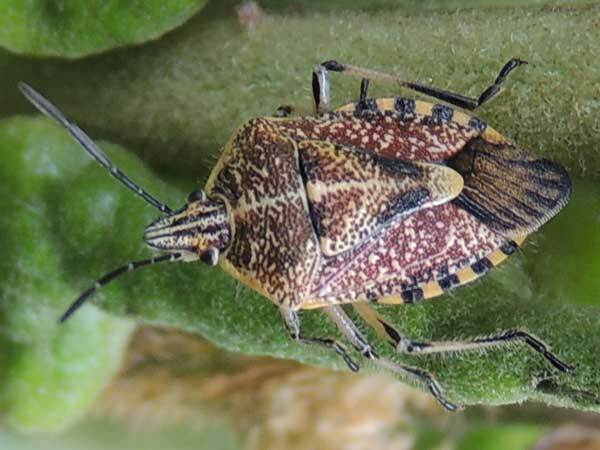 All stink bugs have well developed piercing-sucking mouthparts and most use these to feed inside developing seeds or buds. Glands on each side of the thorax can produce foul smelling compounds which serve to defend against insect predators such as birds or lizards. Copyright Michael J. Plagens. Page created 01 Aug. 2013.